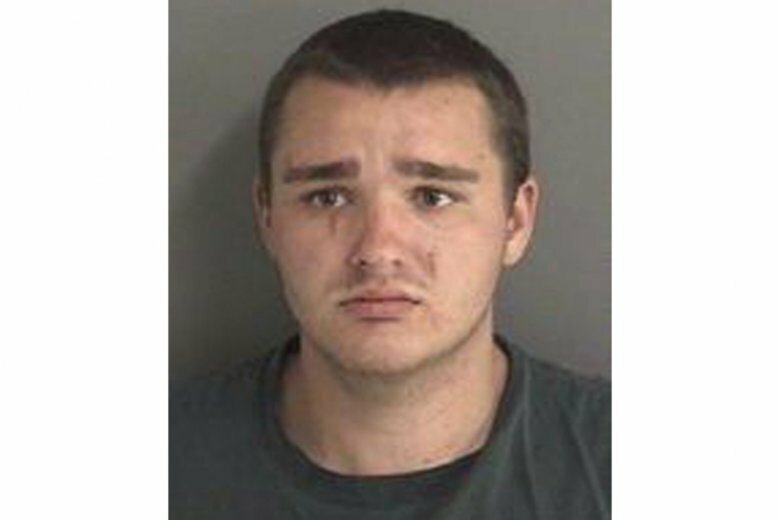 Ames police reports show that 22-year-old Collin Richards struggled with drug and alcohol abuse, mental health problems and homelessness after he got out of prison in June. His name also came up in a criminal investigation in which several officers served a warrant at the home of one of Richards’ associates in August, according to records released to The Associated Press. Richards is charged with first-degree murder in the killing of Iowa State University student Celia Barquin Arozamena while she played at Coldwater Golf Links on Monday. Investigators say he had been staying in a small homeless encampment in the woods near the public course. He is accused of stabbing Barquin, the Big 12 champion and Iowa State’s female athlete of the year, and leaving her body in a pond on the course, where it was found after other golfers noticed her abandoned bag. Three days later, officers served a late-night search warrant at a home near the golf course and the woods where Richards had been camping prior to his arrest, records show. Police were at the scene for about an hour and ran the driver’s licenses of Richards and Christopher Lee Johnson, an associate who lives at the home, records show. Police spokesman Geoff Huff said he couldn’t comment on the nature of that investigation because it was still active. Huff declined to comment on whether the home is the same one where Richards allegedly showed up after the slaying “covered in blood, sand and water” and washed himself. He also declined to say whether Johnson is the “C.J.” referred to in the criminal complaint against Richards as that home’s occupant. Johnson, 40, hasn’t been charged in either case, court records show. He didn’t reply to a phone message seeking comment. “You have not yet made, or have refused to make, arrangements deemed satisfactory by the board,” Chairman Jeff Wright wrote in the May 17 decision, urging Richards to work with his counselor to form such a plan. In July, officers were sent to check on Richards after he was spotted sleeping outside of a government building. He told them he had been “booted out a little early” from a homeless shelter and was taking a nap. In August, officers stopped him for riding his mountain bike at night without lights.